Call him what you will — a paranoic, a fascist, a zealot — but remember one thing about Ezra Pound: he was the first serious writer to bring attention to Vivaldi’s work. A big fan of early music in general, Pound was one of a select few who helped resuscitate the long-neglected composer’s music. In an effort to spearhead the revival, Rudge, with the help of David Nixon, attempted, but ultimately failed, to organize a Vivaldi Society in Venice. However, in 1938, with the help of S. A. Luciani and Antonio Bruers, she founded the Centro di Studi Vivaldiani within the Accademia Chigiana, which is devoted to Vivaldi’s work. As well, the following year, the Settimana Vivaldiana was held in Siena. Organized by Rudge and Luciani and featuring Alfredo Casella, the festival showcased many neglected concerti and the opera L’Olympiade. Rudge officially put her stamp on the revival by producing a thematic catalogue of over 300 of Vivaldi’s manuscripts, published by the Accademia as part of its Vivaldi homage. Sadly, Rudge’s Vivaldi scholarship ended with the arrival of World War II. [M]y minimum claim is that one can’t be certain that Vivaldi is merely another composer like 60 others until one has at least heard or read through the 309 [u]nedited concerti lying in Turin. I admit that my acquaintance with his work has been favourably conditioned; I mean I have heard his line as rendered by a violinist exceptionally sensitive to certain qualities which are either there on the page or are suggested to the violinist by what is on the page. Bach was sufficiently interested to want some of Vivaldi’s work in a form he himself [could] play without being bothered to train an ensemble. Distant from a reference library, I do not wish to mislead any reader, but my impression is that of the 12 or 16 concerti reduced by Bach (or some member of his family) for keyboard, only about six are Vivaldi’s, some at least are known to be by other Italians (I think). I have heard Gerhart Münch get quite good results in performance of two that are certainly Vivaldi’s . . .
As to the chances offered a reconstructor of Vivaldi, I can only adduce a bit of autobiography. A brilliant pianist playing from my grubby copy reproved me last summer for introducing my modern stunts into the piano part. Said stunts being found on examination [in the manuscript] and in no way due to my setting or adaptation. I [would] readily admit that Vivaldi was in a sense ‘out of date,’ meaning out of fashion, out of the received ideas of the general public for a hundred and fifty years, and that he comes into date along with the Miró’s painting, as that painting was in the years immediately following Miró’s arrival in Paris. I don’t see how there can be very accurate estimate of Vivaldi’s extent and variety until at least a few experts have seen or heard the 309 concerti and the 29 or more operas. Some of the Arie whereof are in various reprints. My impression is that Dandelot and Borrel are among his best modern condensers now on sale in the music shops. The first step toward a general estimate [would] be publication of the thematic catalogue now lying before me. Were musical archeology as active as several other less vital branches of what is miscalled ‘scholarship’ this catalogue [would] have been in print three weeks after [Olga] Rudge had made it. 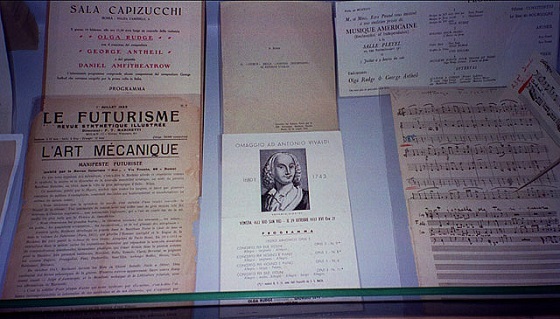 The Turin instrumental section (that is the list of the main incognita up to date) [would] require six pages of photo reproductions the size of the present page ofThe Musical Times, if done without margin. Though Pound will most likely be remembered, at least in the popular mind, more as a “traitor” than a “reconstructor,” it goes without saying that his and Rudge’s efforts to breath life into Vivaldi’s work are invaluable. Of course, now that Vivaldi’s popularity is peaking beyond the point of measurability, perhaps more should be said. 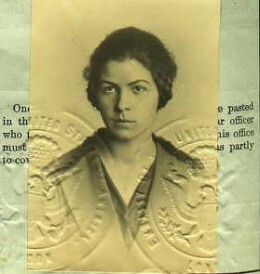 Conover, Anne. 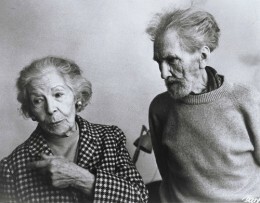 Olga Rudge and Ezra Pound. Yale University Press: 2001. Pound, Ezra. “Mr. Pound Replies.” The Musical Times. Vol. 80, No. 1151. (Jan., 1939), pp. 57-58. Published: January 29, 2013 | This entry was posted in North American New Right and tagged Antonio Vivaldi, articles, classical music, Ezra Pound, North American New Right, Olga Rudge, reprints. Both comments and trackbacks are currently closed. I just kind of stumbled onto Vivaldi myself. The mandolin concerto in C major is flippin’ awesome. I’m quite shocked to find out that Vivaldi isn’t/wasn’t always considered one of the very top great composers. He’s my favorite! Of course, I’m nobody when it comes to music, so I’m not sure what sort of boorish mistake I’m making. I’d love to be enlightened on that. But it won’t change the fact that Vivaldi moves me like no other composer. As with economics, Shakespeare studies, medicine, or musicology, it’s always the “ignorant” outsider who sees that the Emperor is naked. Blackadder: It wouldn’t have anything to do with leeches, would it? Dr: I had no idea you were a medical man! Dr: They’re marvellous aren’t they? Blackadder: Well the bottom one wasn’t. I just sat down and squashed it. Dr: You know the leech comes to us on the highest authority. Blackadder: Yes I heard that. Dr Hoffman of Stuttgart, isn’t it? Dr: Yes, that’s right. The great Hoffman. Blackadder: Owner of the largest leech farm in Europe. Both: … a course of leeches. With both economics and music, Pound was up against the great strongholds of Judaic Power. I assume his Vivaldi research is ultimately part of the Early [viz, pre-Judaic] Music revival and vogue for “authentic” [viz, pre-Judaic “virtuoso”] performance techniques. No longer would Our Music be delivered to us by twisted little Alberichs contorting and flinging sweat on us from their oh so profound “interpretations”. Which reminds me of an article (I think it was by Klaus Theweleit) I read about Pasolini, how Orff (which he used in his last film) was an essentially “fascist” composer, while Vivaldi was the antithesis, the most non-fascist composer ever so to speak. That struck me as completely preposterous. Later I learned that Mussolini called Vivaldi his favourite composer. Now, what? A relatively irrelevant note on paranoia: it is perhaps actually a good thing to be paranoid. Lack of paranoia (i.e. lack of the ability to sense threats theoretically before they appear) is a character trait that has played great a part in the white race’s downfall. Jews are extremely paranoid and are proud of it. They joke about it on blogs. Paranoia acquired a bad reputation because of its association in psychiatric literature to schizophrenia and bipolar disorder (two true illnesses), but paranoia alone might simply be a harmless, and even beneficial evolutive trait.